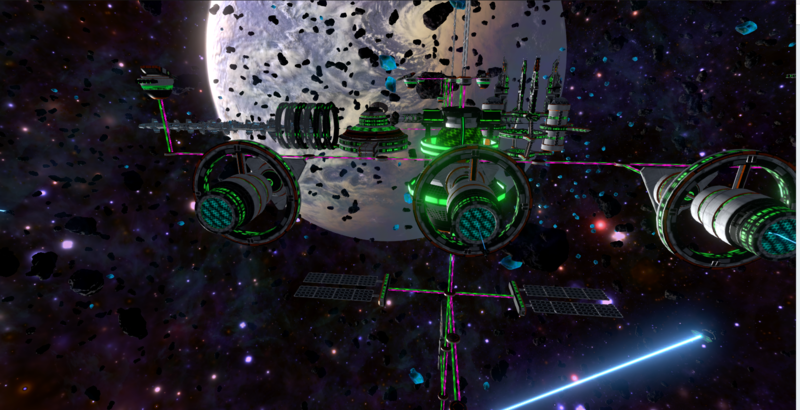 The Black Beyond is a sci-fi building sim. 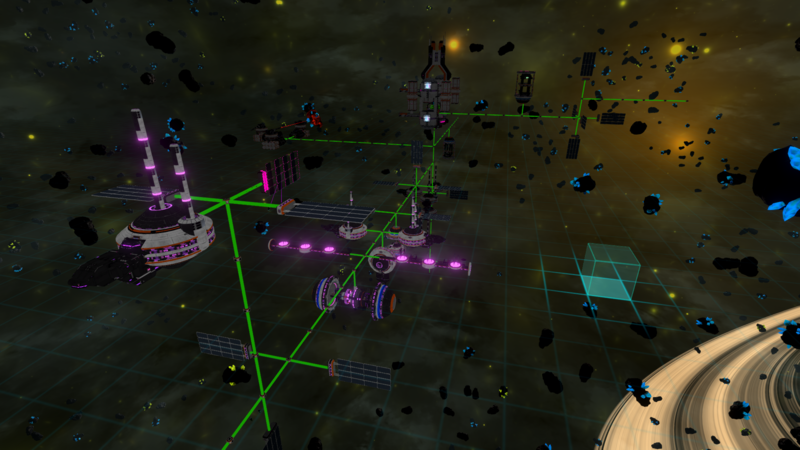 Create a thriving city in space using a fleet of worker drones, while carefully managing and expanding the colony's resources. 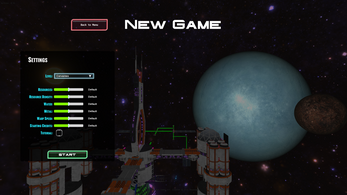 This is an early access version. This will include a Steam key once the game is available on Steam. The Steam version will be available as an Early Access title for $9.99 or $14.99 later in 2018. Build residences to generate rent. Construct parks, bars, malls, and more to earn commercial income. Hold right click to rotate. Where is the game at right now? What do you do? Collect energy by constructing solar panels. 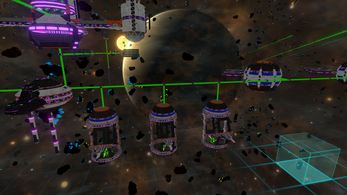 Unlock larger solar arrays and fusion power plants. Expand your maximum energy with batteries. Mine asteroids by constructing mining lasers. Export minerals or finished goods to earn credits. 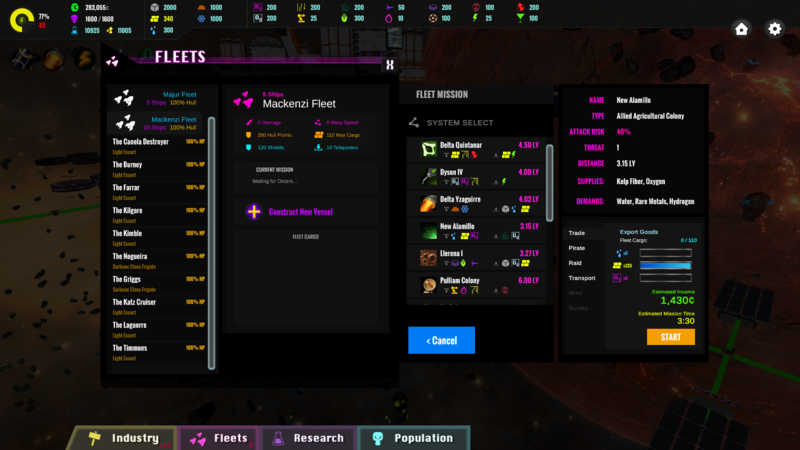 Protect your fleets with escorts or risk falling victim to pirates. 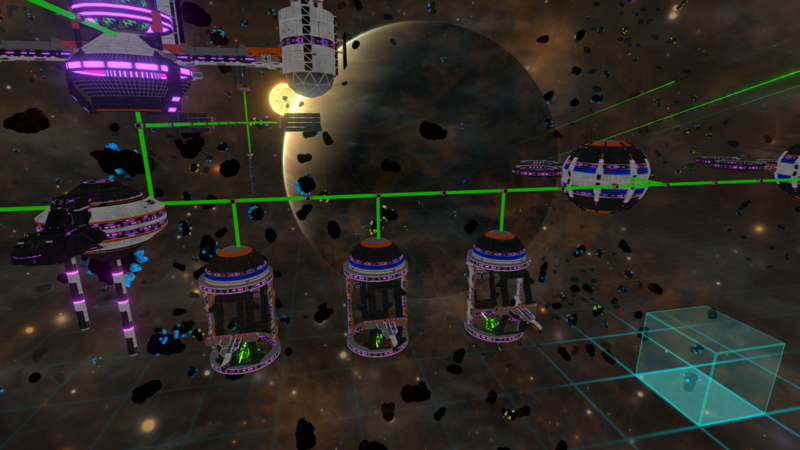 Expand your industry by building drone factories. More worker drones means faster construction and more mining. 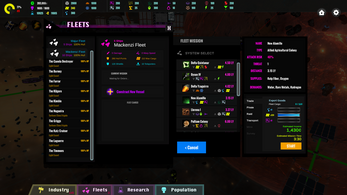 Deploy entire fleets to quickly expand your city. Attract population by constructing space ports and housing. 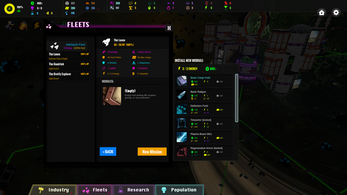 Income from population is used to build advanced structures. 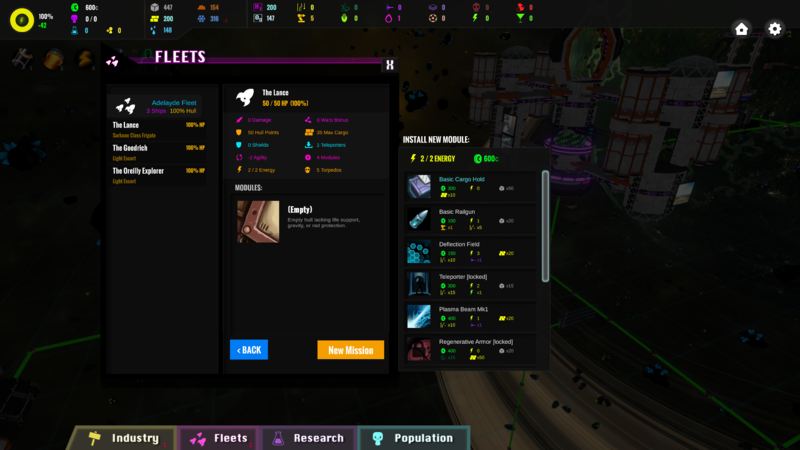 Build new ships to trade more goods, transport more residents, or mine extra resources. Expand in any direction. There aren't currently any hard limits to how far you can build. I'm extremely grateful for any feedback or publicity about my game. My game is a work in progress, and I am very much dedicated to finishing it (you know...before I go broke and die). Your help is very much ... helpful? At a certain point I'm just sucking up, but seriously...thank you! Hi there! Thanks very much for the interest! I did disable downloads as I am working every day on the next version / phase and will re-enable the downloads once I can dedicate more time to promotion and seeking out feedback/testers. The reality was that this early version had a good number of bugs and I was just curious what sort of interest there might be. The downloads will be re-enabled once a more stable, pretty version is ready. It's getting close! I don't expect it to be ready to download until early June, though. Hopefully you'll stop by again around then! :) Thanks! Thanks! Cant wait to play! A nice start. 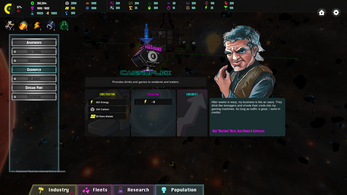 The colony building sim seems to be quite popular thiese days but with your 3 dimensional approach I believe your game could somehow find its place. At the moment it's quite a struggle to place the buildings in three dimensions. I'd like at least to see the connecting conduit as a blueprint when trying to place the building because I tend to misplace them quite often. Moving the view can get quite sluggish also, maybe we could use an option to lock it on a building and spin around it, so we will always have our colony in sight. I wasn't able to complete the third objective in the first mission, having place almost one of every building before increase of population (also beware that the building to place is called "mining bay" when there is no building of a such name). Deleting building let the conduits in place, which prevents from building another one this spot later on. I hope you'll manage to grow your project where you'd like, I'll probably check the changes on later versions. Thanks very much for taking the time to try the game and for taking the time to give some feedback! 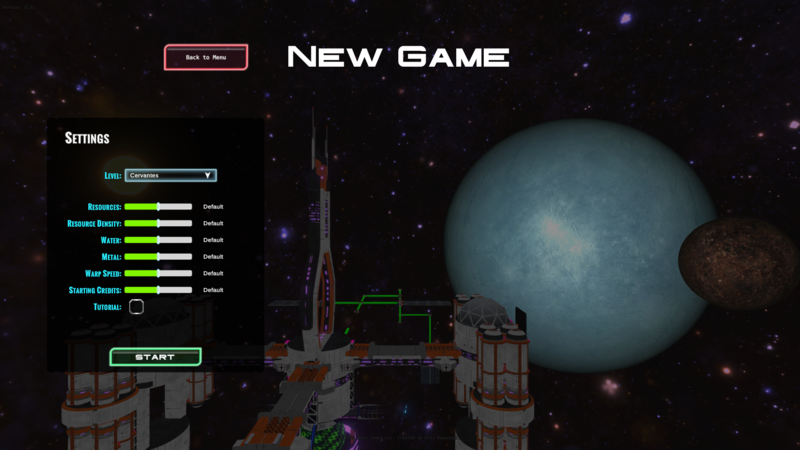 I will definitely be improving the basic building tools, UI elements, etc. as the project continues to progress. 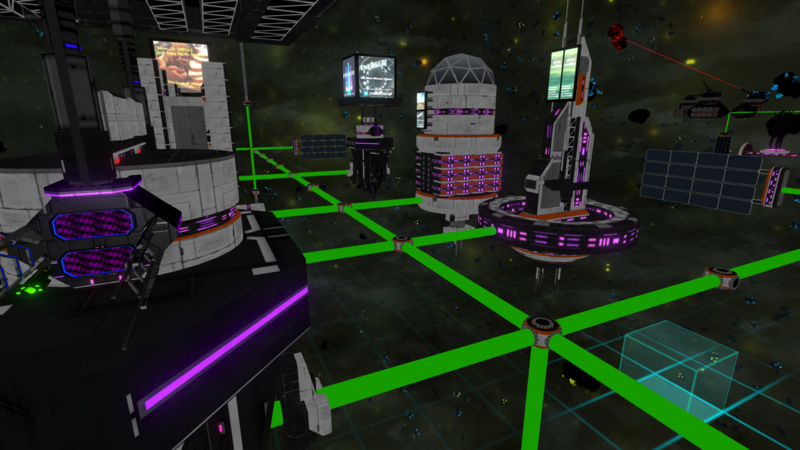 I definitely see how building in three dimensions can be a lot cleaner by making it much more clear how buildings connect and helping the player align with some snapping options, etc. This game is really neat! I know it's an early release, but deleting objects is pretty hard, and sometimes marked buildings will cause them to keep trying to build it, draining every bit of alloy, while not allowing it to be deleted. 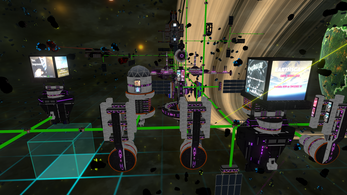 I think the glitch was caused when I marked a turret for deletion while it was being attacked and destroyed. 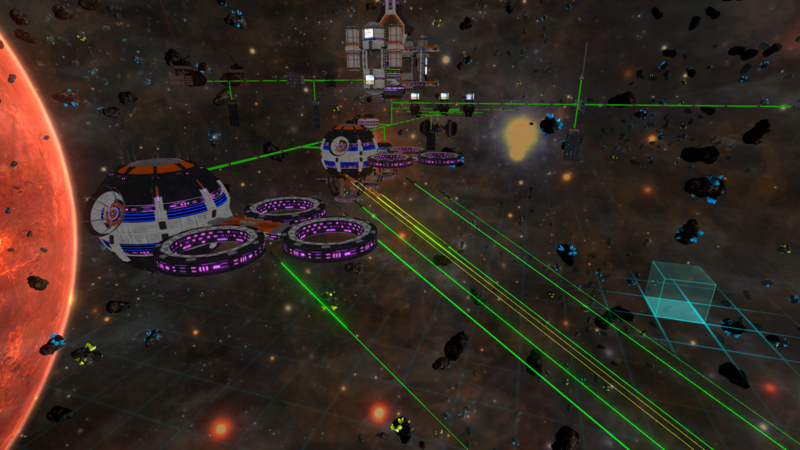 I'm also working on a simple slider that will allow you to better control the drones so that they don't instantly drain your economy by building a bunch of stuff while neglecting mining.